WOW, what great lease terms! This great South Orange County Beach City restaurant. The restaurant has built a Long Standing reputation of great food, service, and experience throughout the community. The restaurant was established in the 1970’s and has had only 2 owners since it’s inception. A great sign that the owners have been successful. The restaurant offers many amenities for success such as Fantastic lease terms, Great location/visibility, fully equipped kitchen, beer & wine license, and an outdoor patio which is licensed for beer & wine consumption. If you have a concept that requires a drive-thru then visit the restaurant today. The landlord would even allow a drive-thru to be installed, pending city approval. FANTASTIC LEASE TERMS: The fantastic lease terms make this restaurant opportunity one of the best you’ll find in this market. Total monthly rent is only $4,055 for 3,316 square feet. Folks!! THAT’S ONLY $1.22 per square foot. Not only is that amazing monthly rent, the lease terms get even better. The monthly rent is FIXED at this rate for the first 3 years of the lease and increases ONLY by 3% of the consumer price index each 3 year lease anniversary. Incredible!!! Many other restaurant leases increase every year by 3-6%. This restaurant’s lease only increases every 3 years. Let’s be honest. Most landlord’s charge what feels like an arm and leg for rent. This restaurant’s incredible lease terms make it Extremely possible to make a profit. Buy the existing restaurant’s long standing reputation, concept, recipes, lease terms, furniture, fixtures, equipment, and beer and wine license OR bring Your Own concept and take advantage of the fantastic lease terms, furniture, fixtures, equipment, and beer and wine license. The seller has shared that the monthly sales are quite consistent. The Seller will gladly discuss the monthly sales averages and expenses with a serious buyer. The Seller has stated that the business was extremely strong in previous years prior to the downturn in the economy. This is a great indication this will repeat with increased stability in the economy. 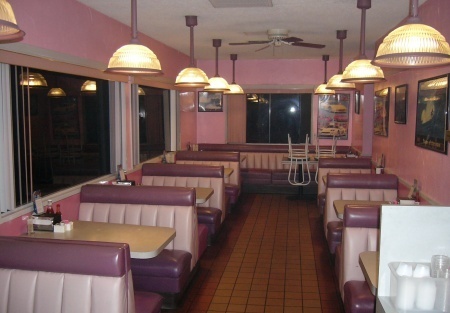 AREA DEMOGRAPHICS: This restaurant is located in a fantastic beach city with great income levels. Household Income Levels and Restaurant Sales Volume Expenditures within the area are strong. In 2009 the Median Annual Household Income for approximately 1 Mile from the restaurant was $77,453.00; 3 Miles was $84,837.00; and 5 Miles was $85,602.00. In 2009 Annual Retail Restaurant Sales Volume Expenditures for approximately 1 Mile from the restaurant was $53,689,122.00; 3 Miles was $156,722,324.00; and 5 Miles was $242,184,542.00 (verify the accuracy of these statistics). RESTAURANT FEATURES: The restaurant features views of the ocean from the dining room, outdoor patio dining, beer and wine license, large hood system with ansul suppression system, walk-in refrigerator, burner range with oven, fryers, a large area for storage/catering or an office area, and much more. The current kitchen setup and equipment should work for nearly most food concepts if you do not wish to continue with the restaurant’s current recipes. REASON FOR SELLING: After working at the restaurant and industry for years, the owner wants to slow down and enjoy the fruits of labor. WANT THE NAME, ADDRESS & PICTURES? then become a member of our website. It's Free!